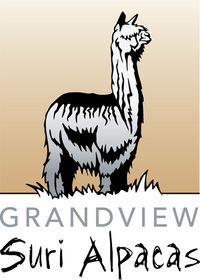 Openherd: Grandview Suri Alpacas - Get great deals on alpacas in Openherd auction lots! 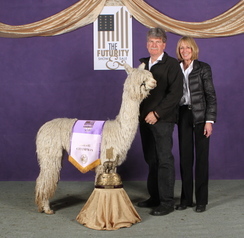 3x Champ, first cria is here!! WOW!!!!!!!! 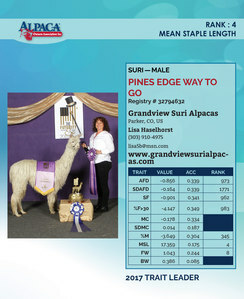 2x Champ, Herdsire of the Year! 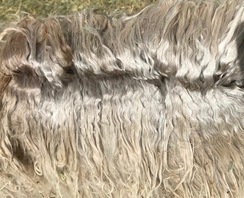 Tikanui, sired by the one and only Pucara Kahuna, has simply stunning fiber - white, lustrous, dense, with outstanding lock structure. And fine! 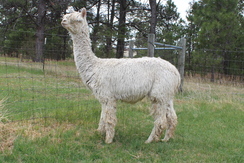 At first shearing...20.9 micron! !